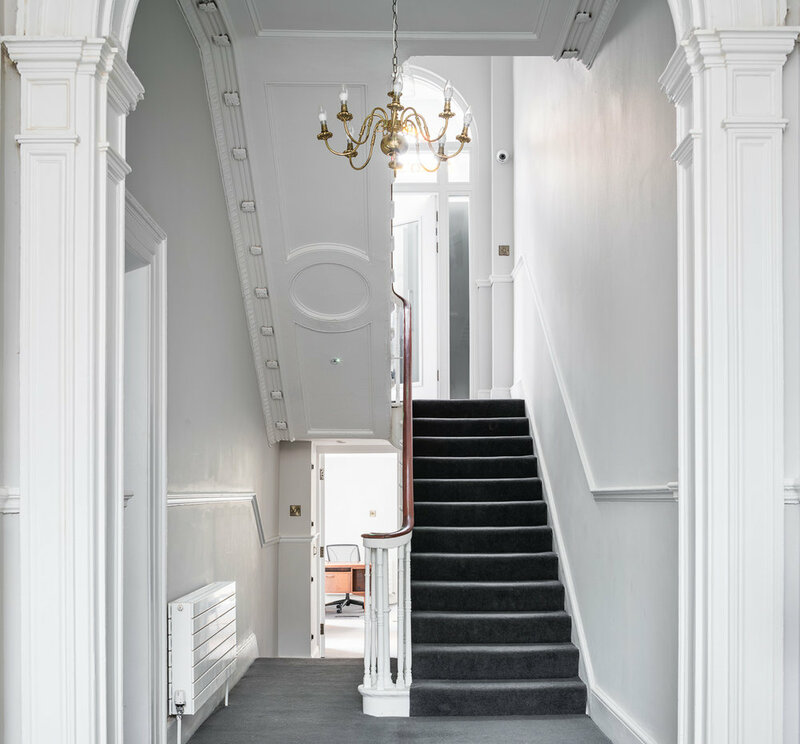 14 Herbert Street is an existing Georgian House which is being refurbished to become the new HQ of Hume Brophy, an international communications company. 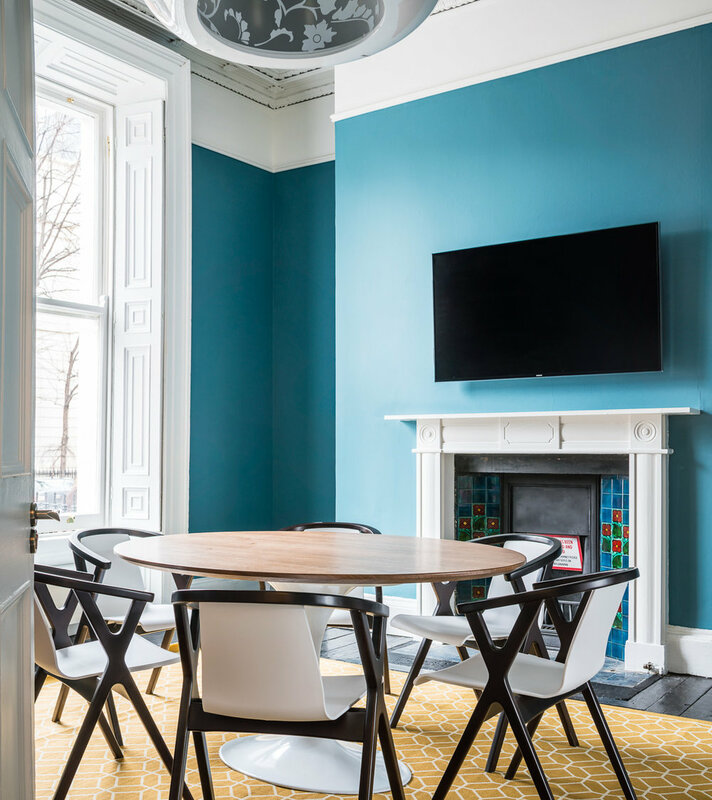 The refurbishment comprises the sensitive restoration of the house with some opening up between rooms and an entire fit-out to create a more contemporary office environment for this progressive company. 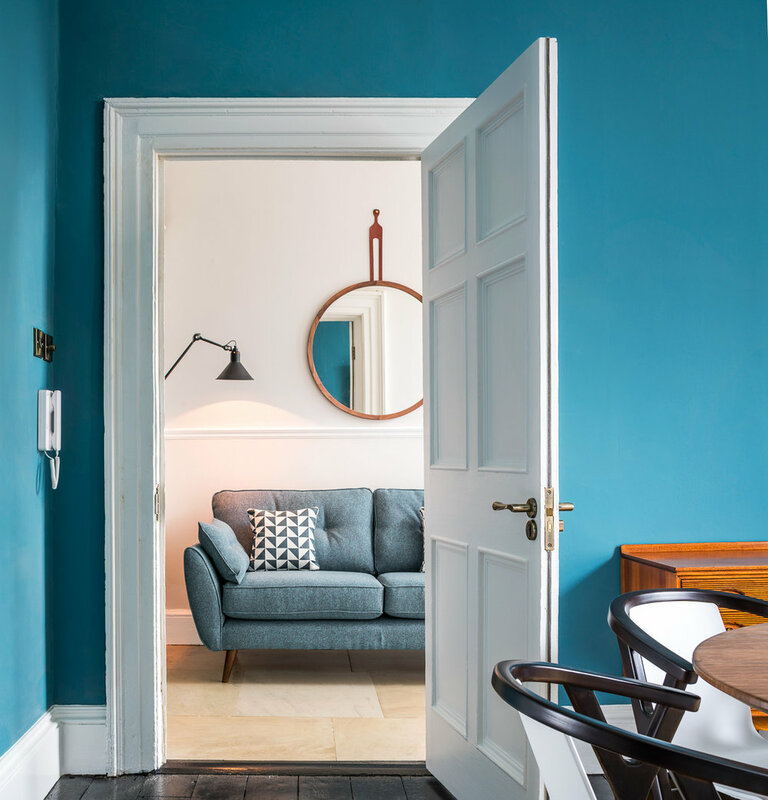 Some of the challenges involved in this project were working withing a listed building and conserving and retaining all period features still remaining. 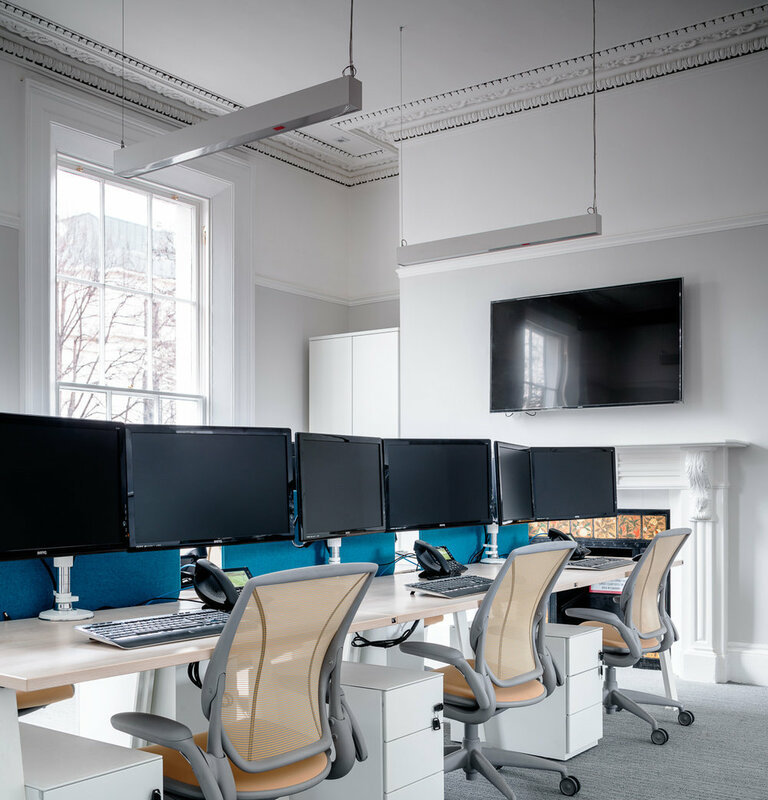 Another challenge was to create a vibrant new design within the period building that reflects the modern and forward looking nature of a global lobbyist firm like Hume Brophy.